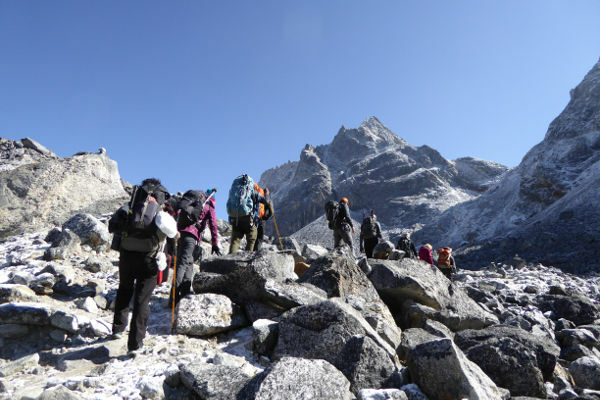 As daunting as the name may sound, the Everest Base Camp Trek is not a difficult trek at all. 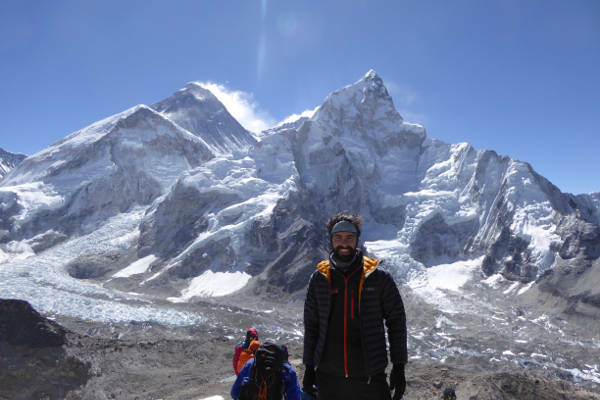 While only a few brave (and crazy) men and women will summit Everest each year, around 30,000 people will make the trek through the Khumbu Valley to Everest Base Camp to catch a glimpse of tallest mountain in the world. People of all ages, shapes and sizes have completed the trek over the years – with a little bit of preparation and determination you will find that almost anyone can conquer the trek and tick it off their bucket list. The Everest Base Camp Trek requires no technical expertise or mountaineering skills whatsoever as it is basically a long hike at altitude. Generally, the most off-putting aspect of the trek is its duration – around 12 days (14 if your include a pre and post night stay in Kathmandu). The reason for this is because most of the trekking is at a slow pace and days for acclimatization have to be factored in – the trek would be much harder if you tried to complete it in under 12 days! Despite being non-technical and entirely achievable for anyone with some basic fitness, there are still some considerations that need to be taken into account before you set out on your own Everest Base Camp Trek. At 130km (round trip) the trek seems quite long, but if you consider that on a typical guided trek you will only be walking for 9 out of the 12 days, you’ll see that you will be covering about 15km per day. If you keep in mind that the average walking pace is about 5km/hour the figure doesn’t seem all that high! That being said, the 15km per day will not be on a paved path that is flat. Rather you will be trekking on quite rocky and sometimes snowy terrain (depending on season and altitude) that is sure to slow down your pace. When you combine the terrain with the fact that you are generally hiking upwards, gaining altitude, you can see how the trek becomes a bit tougher. Luckily, most tour operators will use porters or mules to carry your bags so you just have to focus on getting yourself up the trail! Altitude is by far the most challenging aspect of the trek and is what makes it more difficult than your average trek of the same length. Acute Mountain Sickness and other altitude related illnesses are a serious risk at the sort of altitudes encountered on the trek. The trek starts after the gut-wrenching flight to Lukla, which stands at just below 3,000m and then makes its way up to Everest Base Camp at around 5,400m. At the highest point, Kala Pathar, you will be at just over 5,500m – a height that allows to you experience breathtaking views of the whole region. Most guided tours will have 2 days factored in to allow for acclimatization. These days allow your body to get used to the higher than normal altitude but also provide an opportunity to explore some of the surrounding areas while not trekking. As a result of the acclimatization days and the slow approach to increases in altitude, the outward leg of the trek should take 9 days while the inward leg should take only 3 days. 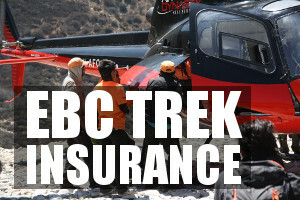 Be sure to read up a bit on the symptoms of altitude sickness and on proper acclimatization techniques before embarking on the trek. We advise seeking the advice of your doctor as high altitudes can sometimes bring underlying illnesses to the fore. While you don’t need to hire a personal trainer or quit your day job to get fit for the trek, some time spent in the gym and some longer hikes will definitely help prepare you for the hilly trek up to Everest Base Camp. We recommend doing a few 4-6 hour treks at home so that your body gets used to that sort of duration of workout. Start around 6-8 weeks before you leave and build up the time and distance slowly so that by the end of it your body is comfortable with trekking for a solid 6 hours. Spend some time in the gym focussing on strength training for your legs. While you may not be carrying your bags around (unless you are trekking unsupported), you still have to carry yourself! Squats are a great exercise as you will be utilising your quads a lot on the trek. Finally, some aerobic exercise such as jogging, sprinting and swimming will help your endurance and increase the ability of your body to circulate oxygen, which becomes harder at higher altitudes. Find a detailed EBC training programme here. The aim of this article was to give you an idea of how difficult the Everest Base Camp Trek is, and you should see that the trek is a very attainable achievement. Put in a little bit of training and determination on the trek and you will be set for the trek of your lifetime! You are definitely a man of experience by what I have just read. I would really appreciate some advice from you. You may think I am mad… I have never done anything like this in my life. I will be 60 next September I have always tried to keep fit and active, I have participated in things like Zumba, aerobics, boot camp etc. .over the years but in boot camp I am one of the slower ones. I have knowledge of people who have done so many different challenges and would love to challenge myself . I do understand that if I were able to do this challenge I would definitely have to put a lot more training in. I would love to have advice on how to achieve this please ?? Hi Debbie, you sound like just the type of person that can do the EBC trek. The challenge is a big one but with the right training and determination I remain convinced that almost anyone can trek to EBC. 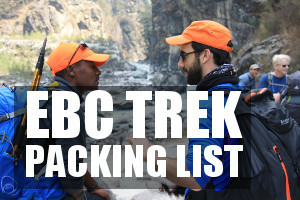 Here is some useful training information to get you started: https://ebctrekguide.com/best-training-program-everest-base-camp-trek. Getting into the right frame of mind for EBC is equally important. It is a long expedition – the cold nights, relatively basic food and accomodation and high altitude – take it’s toll on the body and one’s mental state. Having a strong mind can get you through tough times – and it will get tough. All the best! I think Everest is always cold what season or month you advice us to go there ?